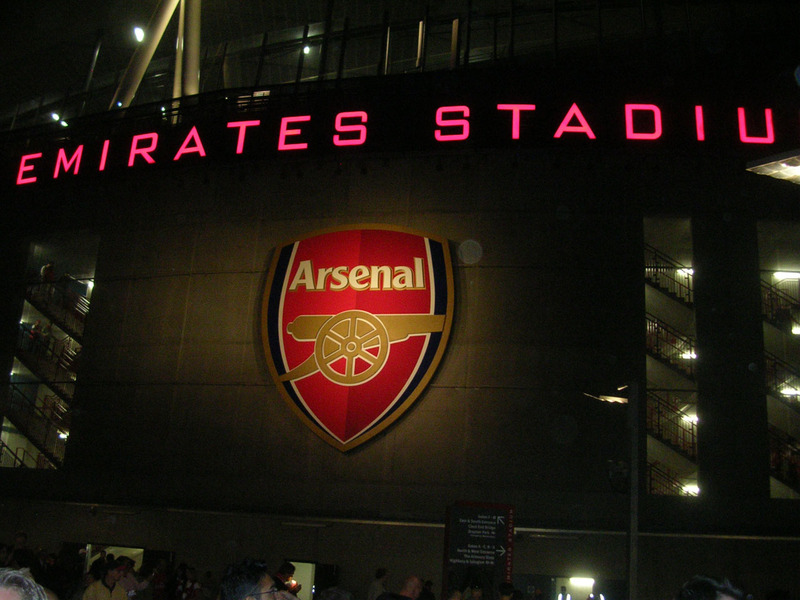 The Emirates stadium by night! 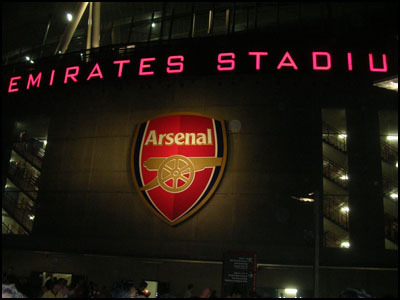 This nice stadium has been inaugurated during the summer 2006. The cost was £357 million and the capacity is of 60 000 seats. That night we were exactly 58,434! Starbuck is the biggest coffe shop in the world, founded in 1971, currently 140 000 employees in the world and the annual TO of the American company is higher than 7 billions dollars. 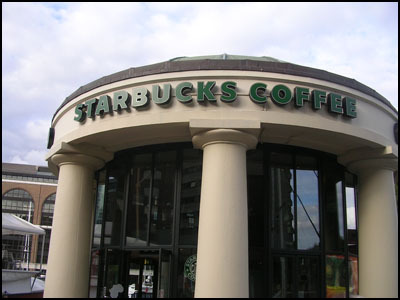 In London you will not have any difficulties to find a Starbuck! 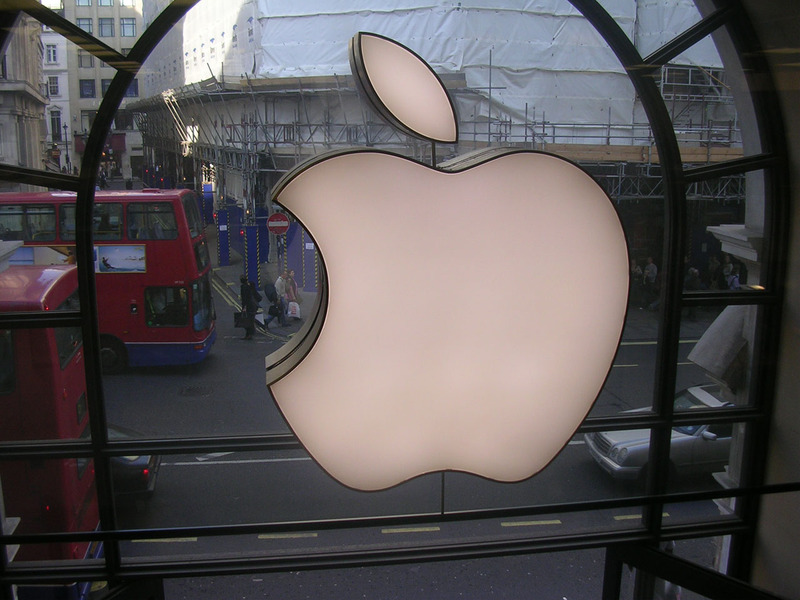 The store is beautiful, it’s near Oxford Circus. You can find all the Apple equipment from the Ipod to the Macbook. 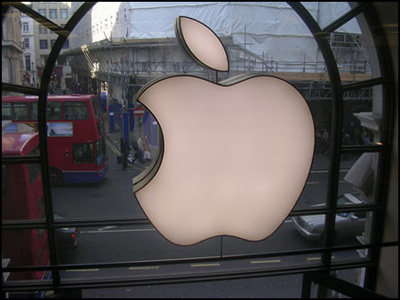 If you are a an of Apple, new technologies or just design you must go there! 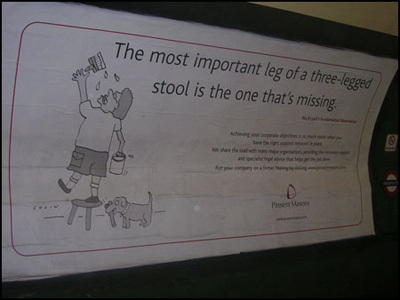 What is the most important leg in a three-legged stool? 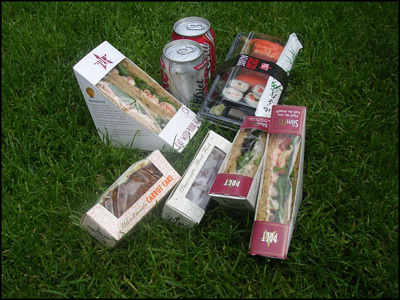 The one missing! 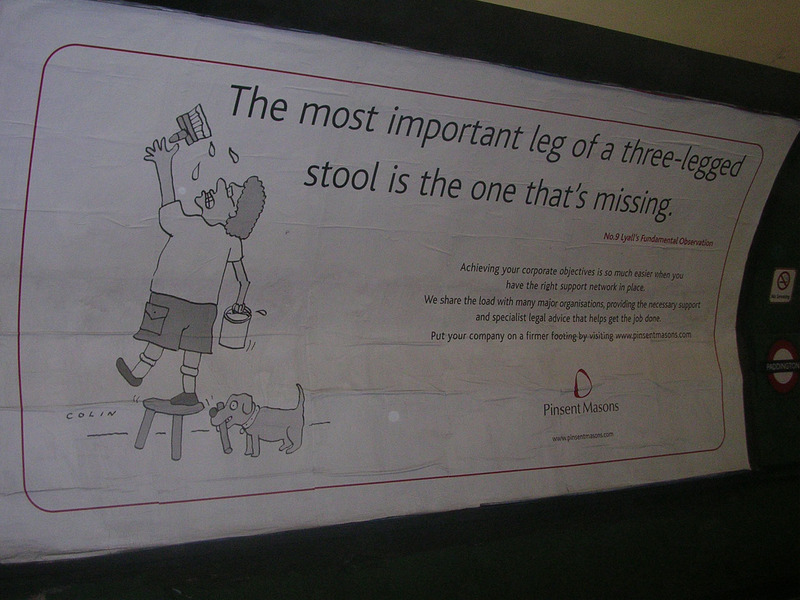 That ad saw in the underground made me smile on my way to work. Sometimes things are obvious but we think too much and don’t see them. We forget fundamental observation. The Eurostar is the better way to go from London to Paris. It’s fast and from center to center. 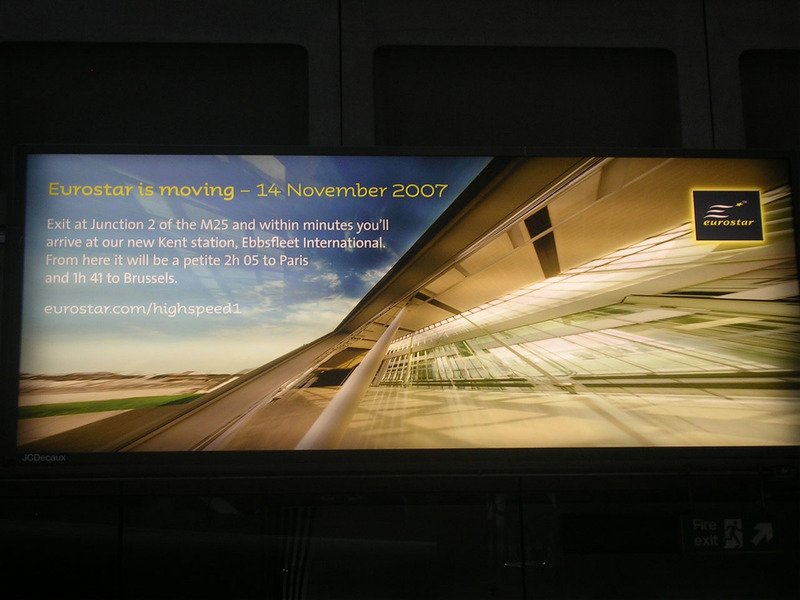 Trains are currently leaving from Waterloo station but in November they will leave from Kings Cross St Pancras. 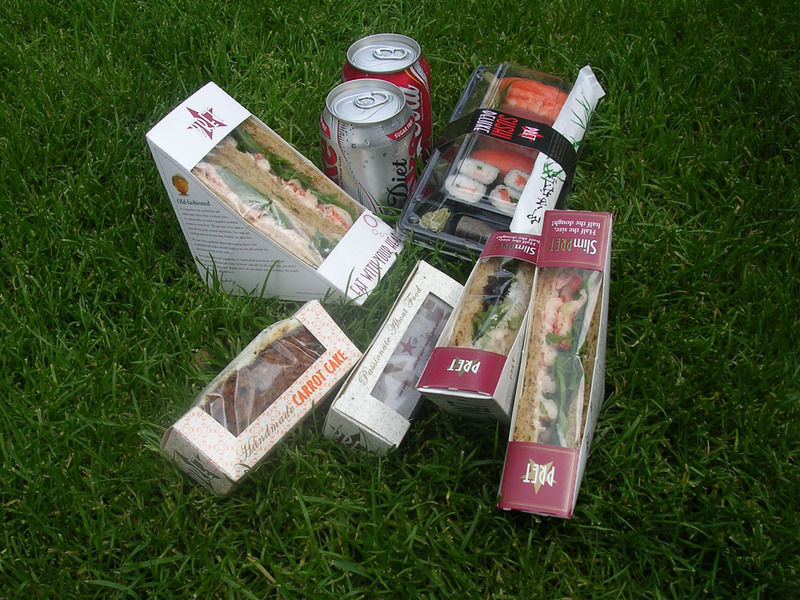 Some food from the chain Pret a manger, perfect to go on a picnic !